On Friday evening, four of Crandall’s faculty members were presented with awards for excellence in teaching, service, and research. The Stephen & Ella Steeves Awards provide the opportunity each year to celebrate the contributions of the faculty to their respective fields and to the university’s mission of Transforming lives through quality university education firmly rooted in the Christian faith. Each year, recipients are nominated by students, staff, and faculty, to be selected by a committee of their peers. These individuals have not only contributed greatly to their respective fields, but they are also highly respected among staff, faculty and students at Crandall University. The award for teaching was presented to Dr. Abram Steen of Crandall’s English Department and Dr. Seth Crowell of the Sociology Department; the award for research was presented to Education professor Dr. Wendy Bokhorst-Heng; and, the award for service was presented to Business professor Robert MacDonald. Also during the evening, special recognition was given to Professor Emerita Dr. Carol Thorne who retired in December after a lifetime of teaching, having taught at every iteration of the institution (UBBTS, ABC, ABU, and Crandall). 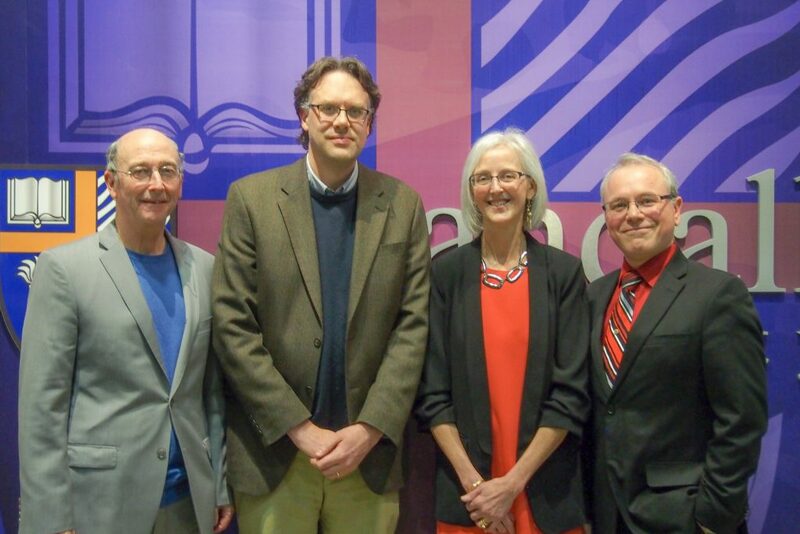 Congratulations to this year’s recipients – the passionate work of faculty like these four is truly appreciated!